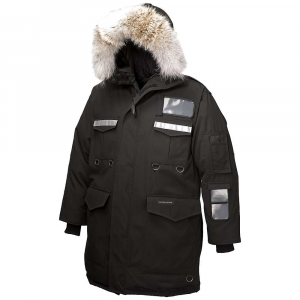 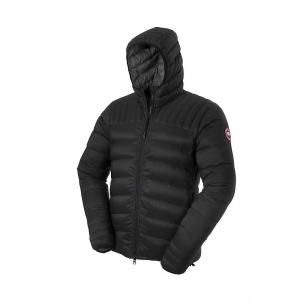 The lightweight and stretchy Canada Goose Men's Brookvale Hooded Down Jacket keeps you toasty whether you wear it alone on chilly days in town or on cold camping trips in the alpine. 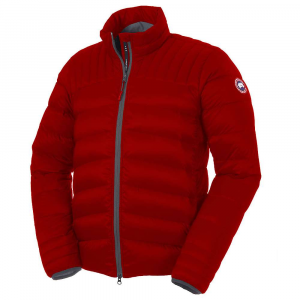 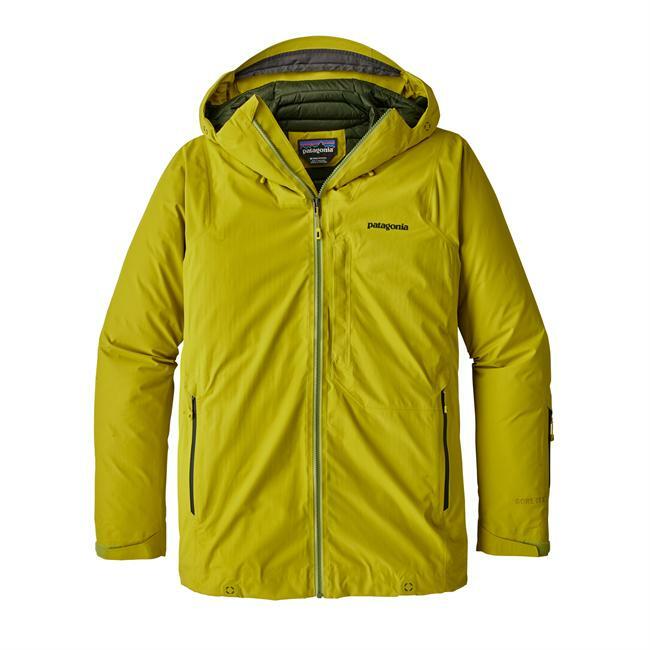 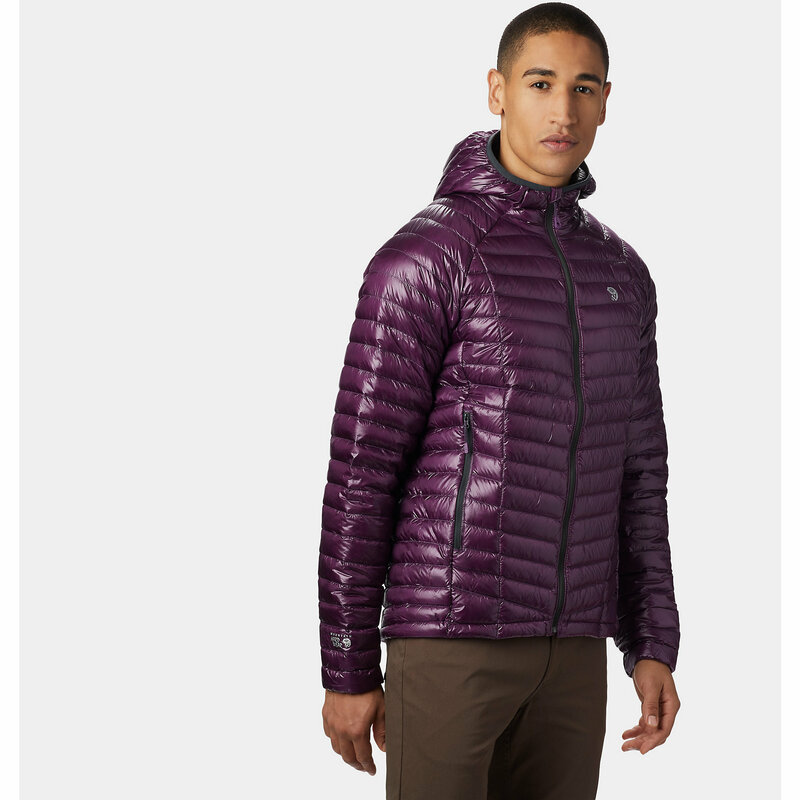 It's filled with packable down insulation for low-bulk warmth, and it's equipped with a flexible, water-resistant fabric that allows you to move freely while shedding snowflakes and light moisture. 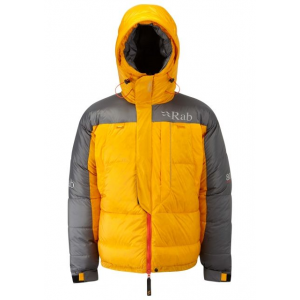 The lightweight fabric and compressible down allow it to be packed into its own internal pocket, making it a perfect choice for stashing in your ski pack or camping kit. 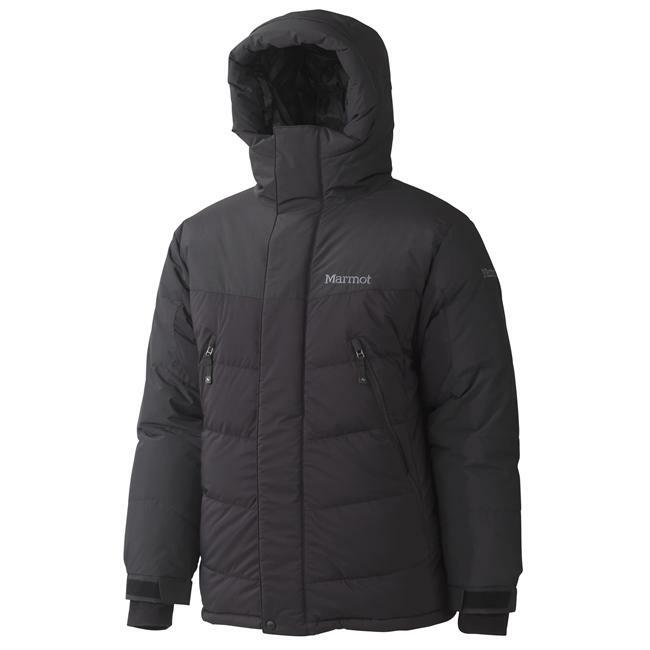 Elastic at the hood and cuffs seals out brisk breezes, and brushed tricot at the back of the neck and cuffs provides increased comfort and warmth.